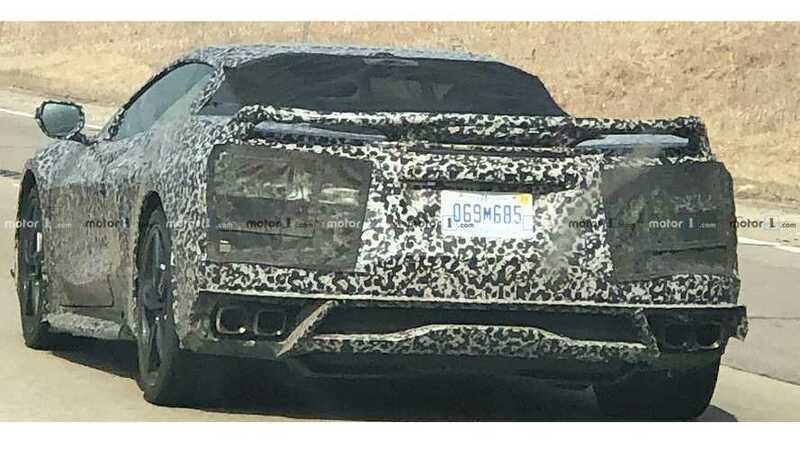 Take a very good look at the next-gen Corvette's rear end. 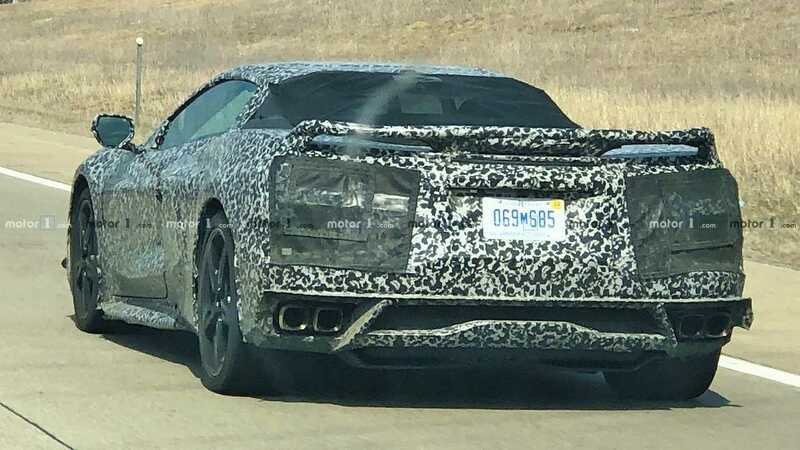 The mid-engined Chevrolet Corvette continues its development on Michigan's roads, and these new spy shots come to Motor1.com from Midengine Corvette Forums and photographer David McDade. 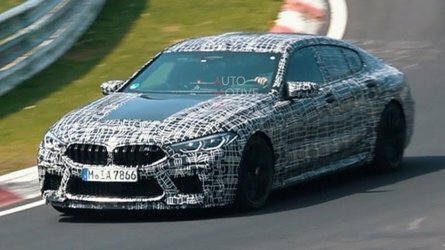 While the car continues to wear quite a bit of camo, these pictures at least provide a detailed view of the much-anticipated vehicle. These photos largely provide a look at the mid-engined Corvette's rear. Unlike previous test mules, the engineers conceal the taillights on this model, but they leave the diffuser exposed. There are four square exhaust outlets – two on each side. A fixed wing sits on the rear deck. The angle of the rear glass suggests the engine might be visible on the production model, but this test mule wears an extra layer of mesh covering to keep everything hidden. 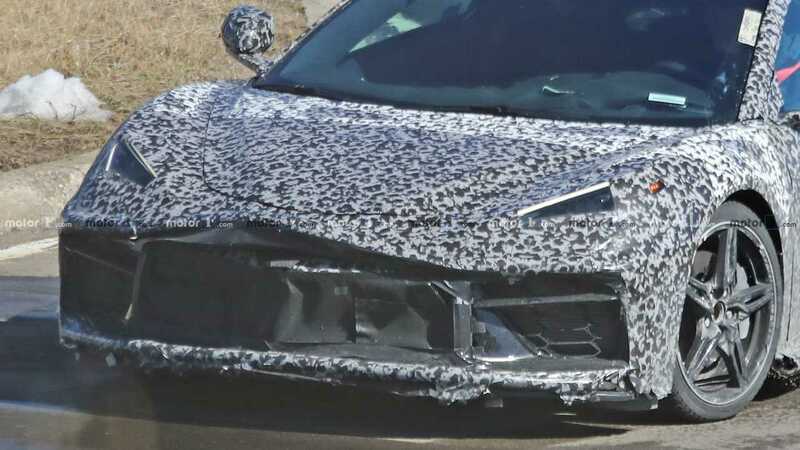 There's only a single image of the front of the C8 Corvette in this new gallery, and it doesn't provide a great view of the car. Thankfully, earlier spy shots (gallery below) provide a much better look. The mid-engined 'Vette has a low-slung nose with large intakes in the corners. Sharp-edged headlights adorn the fenders. Powertrain specs for the mid-engined Corvette are still largely a mystery. 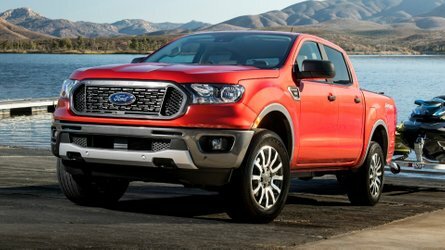 The info so far suggests the base powerplant would be a version of the existing 6.2-liter V8 making around 520 horsepower (388 kilowatts). 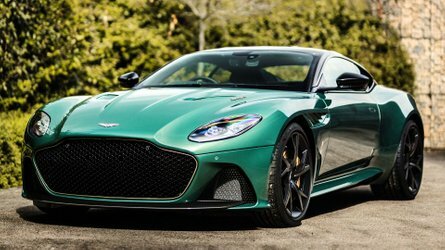 GT and Grand Sport variants would allegedly use twin-turbo V8s offering even more power. Recent reports indicate that high-horsepower versions are twisting their frames, and this is an issue the engineers are working on. 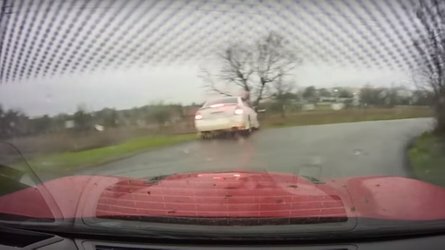 The mid-engined Corvette will reportedly make its big debut at a dedicated event in the summer. The latest rumors put the unveiling at the National Corvette Museum in Bowling Green, Kentucky.